Suraj Taal or the Lake of the Sun God is located perfectly near the Baralacha summit in the Lahaul and Spiti valley on the Manali-Leh highway. It is a fresh water lake located at high altitude of 4,883 m (16,020.3 ft). This lake is the source of the river Bhaga. 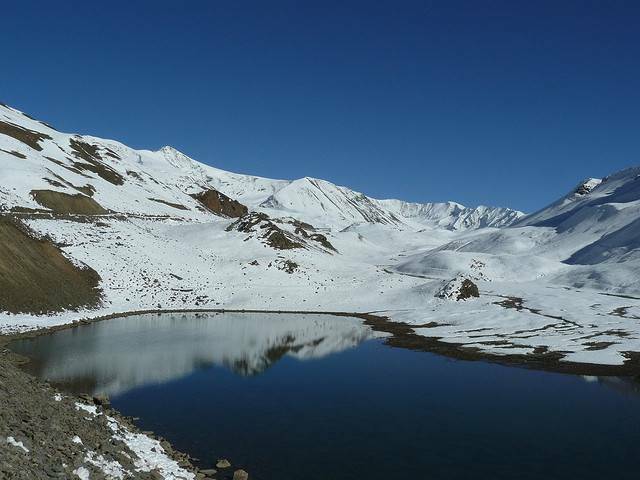 It is said to be the third highest lake in India. Suraj Tal is 65 km from Keylong.